Shimming is effectively filling a gap. This can be for a variety of reasons: to create a closer fit, change the clearance, account for a manufacturing defect/oversight or most likely the equipment has been in service for a long time and wear has caused some of the components to change shape or become misaligned. Chocking is a shimming application but with a specific goal. The aim of a chock is to make the baseplate of machinery a monolithic member with the foundations. Or more simply put, to have complete contact and load transfer between the machinery and its foundations, reducing vibration and the chance of damage to the machine as a result. Why is chocking needed? Generally, large vibrating machines will be placed on concrete foundations with a chock. 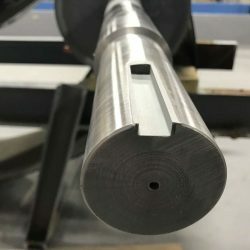 If this chock is ineffective, the vibration and impact from the machine will begin to loosen it and slacken the bolts connecting it to the floor. This will lead to misalignment which can be a major concern on equipment transmitting large loads. Options for chocking include various grouts, which have their own drawbacks and benefits. Iron filled grouts can be liable to corrosion and degradation. Cementitious grouts lack the chemical resistance required in some environments. Although they have excellent compressive properties, the impact resistance isn’t always sufficient. Currently, one of the more popular options, especially when applying in-situ, is to use pourable polymeric materials. This is where you will find the Belzona repair solution. Belzona 7111 is a pourable chocking compound. It’s designed to withstand the physical and thermal shock expected in aggressive environments, exhibiting high compressive, impact and vibration resistance and excellent creep properties. The material itself is a 2-part, 100% solids epoxy. It also features the usual ease-of-application you would expect from Belzona materials. 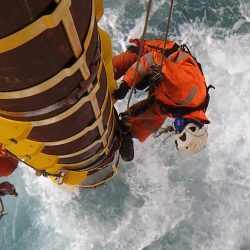 Not only is it pourable, but also self-levelling, meaning it can be poured from one corner of the chock and it will flow into all areas on its own. This makes it easier for the applicator as they do not have to completely remove the equipment to install the chock. 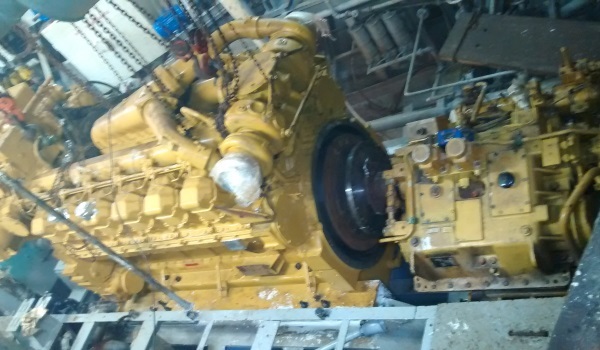 This took place on a boat for a fishing company, within the Engine and Machine Room. After some scheduled maintenance on the main engine, it was found that the system needed aligning, and some machinery required chocks. Belzona 7111 was chosen as the ideal solution. The alignment tolerances between the engine and gearbox were very stringent, so it was essential that the chosen product would meet these. 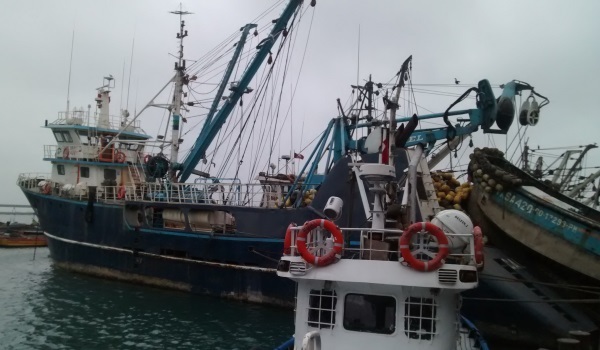 The boat also needed to comply with the Marine Certification norms, which the Belzona material was able to provide. The first application took place on the main engine base of the boat’s propulsion system. Here, four chocks were necessary to guarantee alignment. 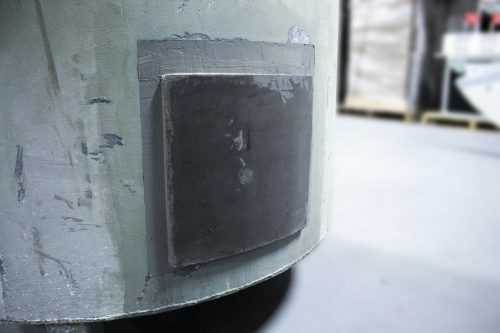 Pouring was seen as a quick and easy application, versus manufacturing expensive new shims, which would not guarantee 100% support and would therefore need further corrections. The Belzona solution avoided several days of downtime, lack of production and financial losses. For this application, the Belzona 7111’s compressive strength shone. Despite the weight of the gearbox and high torque applied to the anchor bolts, it would not change in height. This application saw two dams being filled. Then, following on from the pour and cure, the engine was supported and the anchor bolts were tightened. After this, the machinery was found to be level, up to a thousandth of an inch, which was completely acceptable and safe for alignment. 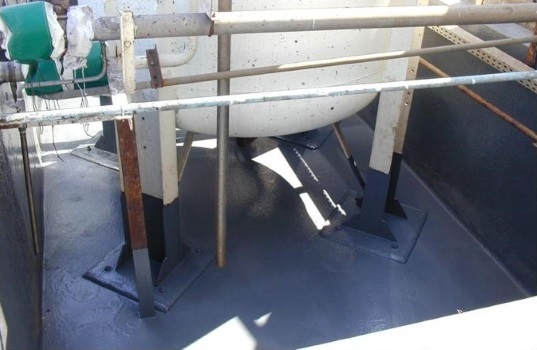 These applications were highly successful and all in all, the boat’s maintenance team found that the Belzona system had a lower cost than other chocking materials, yet provided perfect results. Wear – whether this is two components rubbing against each other resulting in a loss of material, or general wear causing things like keyways and slots to become misshapen. If left untreated, this can lead to machinery becoming misaligned and experiencing poor load transfer. This means there can be stress concentrations where they were not intended to be, which can ultimately lead to failure. 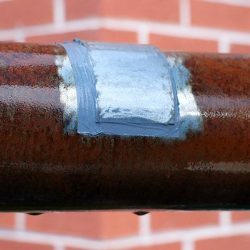 Corrosion, such as crevice or galvanic, can also occur if there are very small gaps where there isn’t 100% contact between material. Here, moisture can get in and therefore corrosion is accelerated. The most typical repair option is to use a metallic shim from simple washers, to high-tolerance machined shims. However, the problem here is that these can be costly to manufacture and also difficult to perfect if the exact dimensions and shape are not known. Another option is to use cementitious repair materials, however, if it is a concrete-based repair then the same issues are likely to reoccur. A final option is to use polymeric materials! As you can see below, here are some of Belzona’s most popular materials used to shim. Belzona 1321 is a ceramic filled epoxy, which has outstanding compressive strength, making it perfect for shimming. It’ll bond to almost any rigid surface and then provide some serious erosion and corrosion resistance. Belzona 5811 is a multi-purpose epoxy coating which has excellent application properties and is really smooth to apply. Belzona 4111 is an epoxy repair composite designed for repair, resurfacing and protection of concrete and stone. 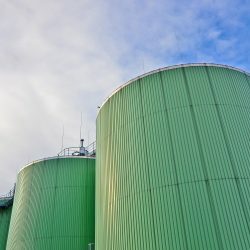 This case study took place at a food processing plant in France. Here, the concrete within this chemical containment area had experienced heavy deterioration due to leakage during maintenance operations. This had resulted in the integrity of the structure being compromised. It was decided to shim the area using Belzona 4111 and then coat the whole of the area with Belzona 4311, a chemical resistant coating. The plant engineers found the repairs very easy to carry out and the whole area was brought to standard to meet required regulations. Plus, this has proven itself to be a very durable repair. An inspection six years later found the containment area to be in perfect condition. This following video case study took place at a Central Processing Facility in South Korea. This was a massive application where Belzona 1111 and Belzona 1321 were used to shim some risers and riser housings. Chocking and Shimming are fairly broad and wide ranging applications. Although chocking aims to achieve a specific goal, it could still be considered a form of shimming. 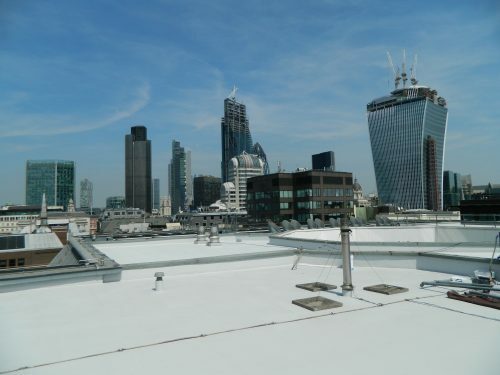 A variety of suitable materials available, provides us with a versatile range of application methods. In most cases, Belzona uses the original equipment as part of the shimming operation, ensuring a perfect fit and minimal specialist equipment.